Flip coins 30 times.If it is landing on heads,multiply damage by another 150 damage. Flip a coin. 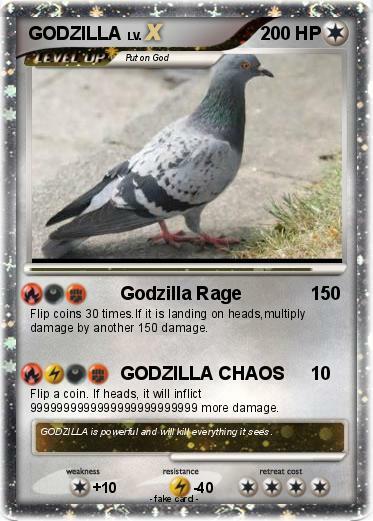 If heads, it will inflict 9999999999999999999999999 more damage. Comments : GODZILLA is powerful and will kill everything it sees.